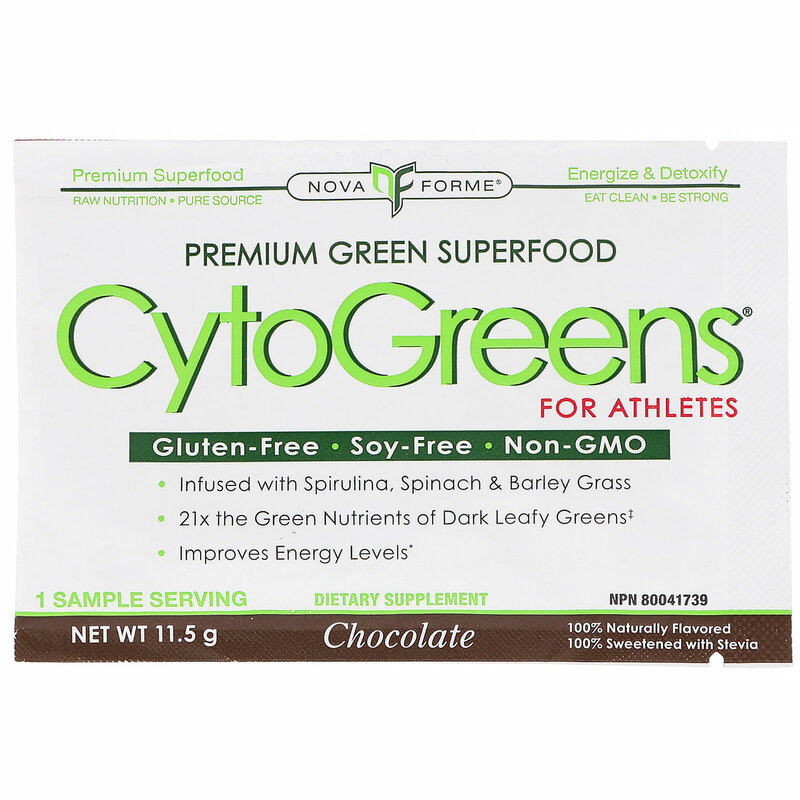 Mix entire packet of CytoGreens with 1 cup (8 oz, 240 ml) of cold water. 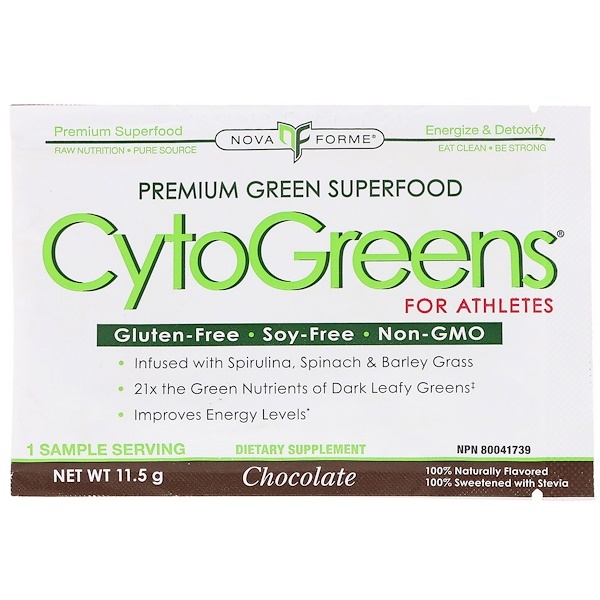 Cocoa powder, natural flavors, organic guar gum and xanthan gum salt, stevia (95% leaf extract). 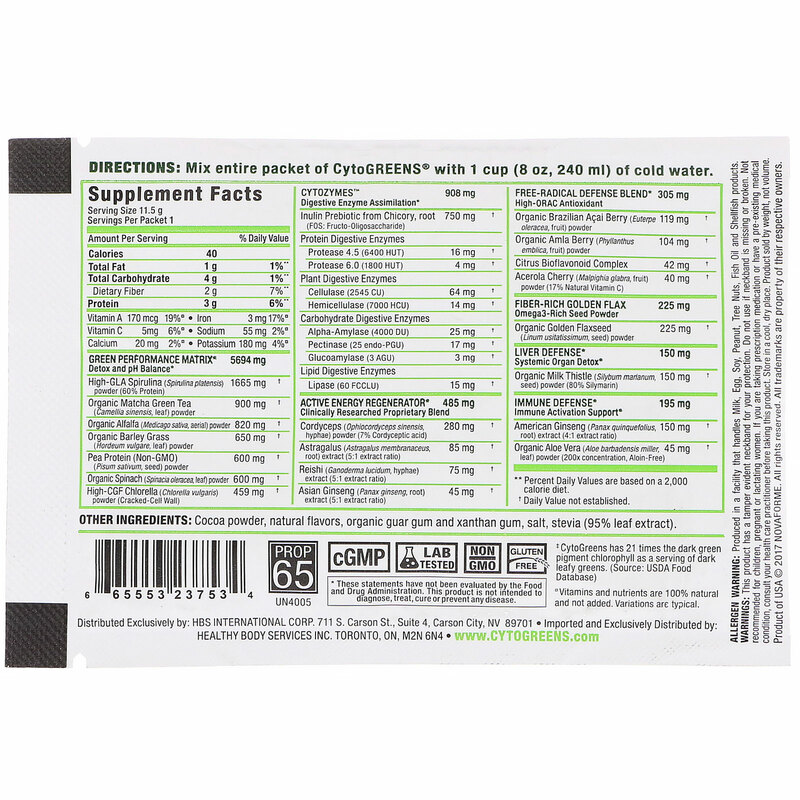 Allergen Warning: Produced in facility that handles milk, egg, soy, peanut, tree nuts, fish oil and shellfish product. •Vitamins and nutrients are 100% natural and not added. Variation are typical.